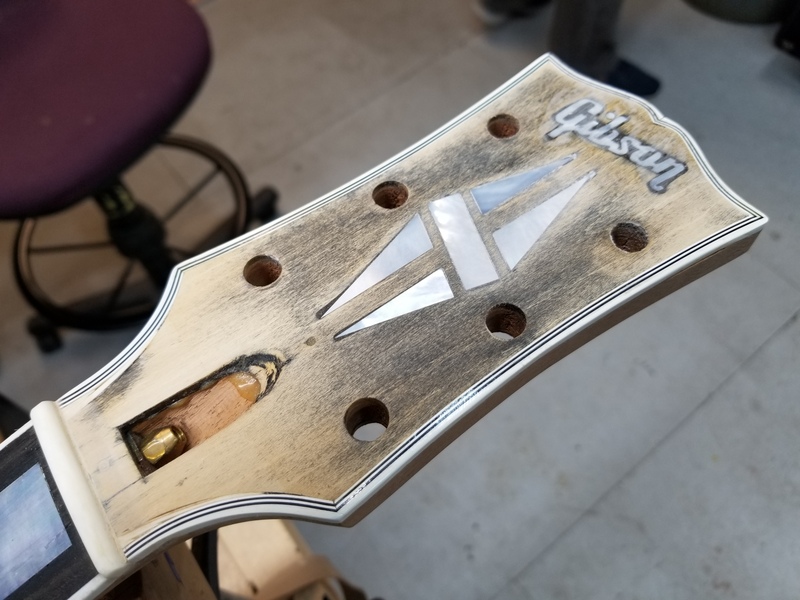 This mid 60’s Gibson SG started out as right handed guitar then someone switched it over to a left and now we are converting it back to as close to the original as possible. 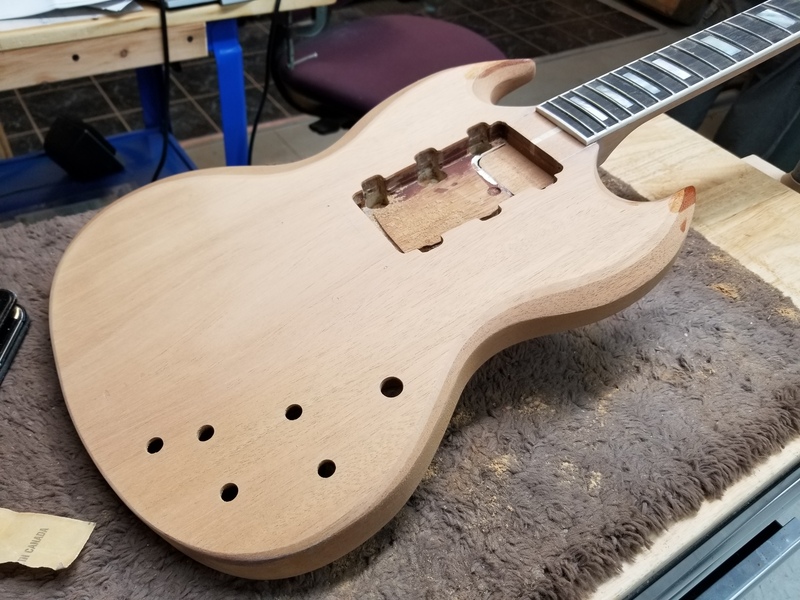 We had to fill the body cavities that were routed in, route new back cavity and veneer the back and top. It’s now getting a finish sanding and ready for some color.